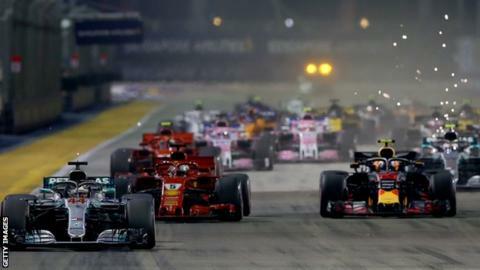 Vietnam will host a Formula 1 race on the streets of its capital Hanoi for the first time in 2020, government officials say. The Hanoi People's Committee said the grand prix circuit will be unveiled at a gala next week. The Vietnamese government said it had given its support for the race but there has been no confirmation from Formula 1's governing body, the FIA. Funding for the race will come from the private sector, and not the government. Mai Tien Dung, chief of the government office, said in August: "Hanoi authorities have asked people living in the planned area for their opinions about holding the race and they have all shown their support, to attract tourists." A Vietnamese grand prix would mark the first new entry on the F1 calendar since US group Liberty Media took over the running of the sport at the beginning of 2017. It will be the third race to be established in south-east Asia following Singapore and Malaysia - the latter being scrapped following the 2017 race due to poor ticket sales.